The man at left with the magnificent head is Robert Julian Scott: a British-born engineer who spent most of his life and career in Christchurch. 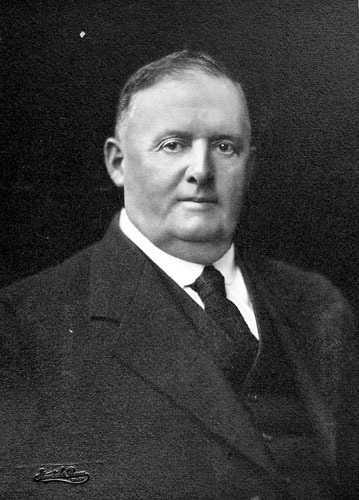 He had an outstanding engineering mind, which can be read about on Te Ara and wikipedia. He also happened to be a founding member of the Port Nicholson Yacht Club of Wellington. He had designs built in Auckland, Wellington and Christchurch. He began by radically changing existing boats, to designing yachts and rigs. He met with varying levels of success, but they were always somewhat experimetnal if not radical in concept. This piece discusses some of them. The image below shows two versions of the same 36 foot (on deck) yacht, Zephyr. She was built by Green* in the 1870s and raced locally at Lyttelton and Akaroa. She was taken to Melbourne and then Hobart to race, with mixed results. The version left shows a somewhat unusual rig for the era, basically a bermudan rig on a sliding gunther, mast well raked. She was converted to gaff and external ballast added by the owner previous to Scott, which completely overpowered her. 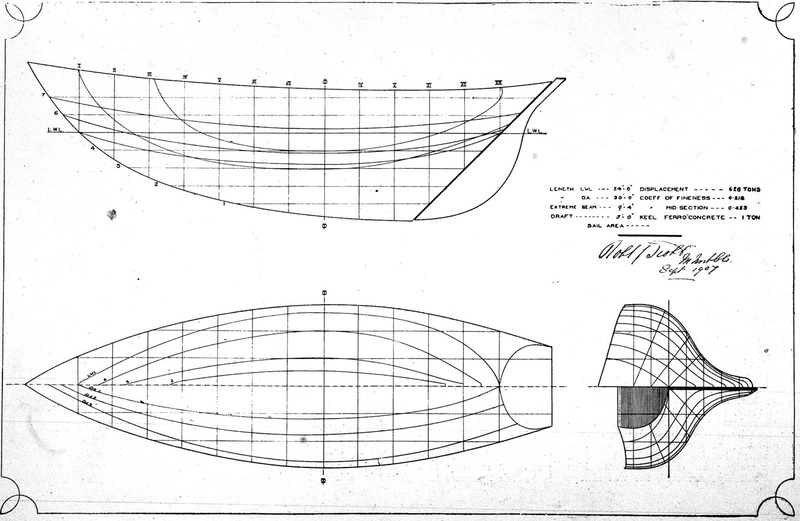 When Scott purchased her some time around 1890 he completely changed her underwater profile by cutting away deadwood forward, and adding a 2 ton lead fin keel. The rudder as depicted here must have suffered tremendous strain. He returned the bermudan rig, but used a single pole mast fitted with a metal sail track for easy management. He used wire halyards to decrease windage and enable tighter luffs to his sails. This didn't become common until the 1950s. He called the racing mainsail a "batwing", referring to its extreme roach. His cruising mainsail was more conventional. In 1896 she beat the crack Logan-built Waitangi in the New Zealand championships at Lyttelton. By 1911 she had been converted to a motor launch. 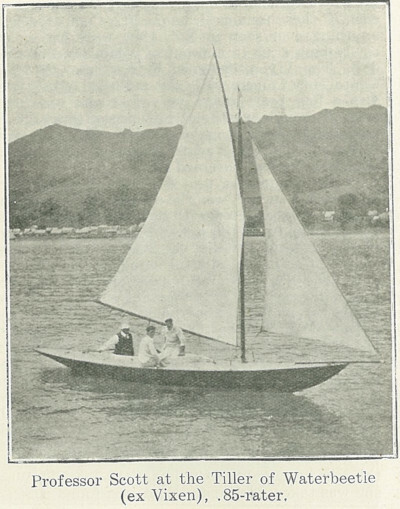 To encourage interest in the fledgeling Arawa Sailing Club in Wellington, in 1894 Scott drew lines for a 1/2 rater to be built by Rober Logan of Auckland. The boat was named Vixen (later renamed Waterbeetle). She arrived late in the 1894/5 season and was not a success. She was significantly altered by Bringans and Hogg at Clyde Quay. She competed well, but was never really consistently in the money, dominated by Jack Chalmer's Dauntless, and the two Logan-built William Fife designs Miru and Ruru. Scott drew Wylo in 1904. She was designed to be a strong, easily-handled fishing boat which could stand up to most weather, but also be useable as a cruiser and racer. She was eventually built in 1911 by Ted Bailey at Clyde Quay, Wellington. 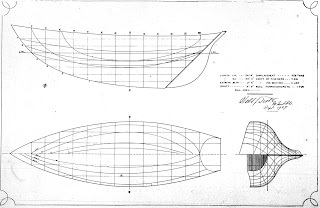 She was among the first designs of the flat transom, stern-hung rudder keel yacht which became popular from the 1920s through to the 1960s. 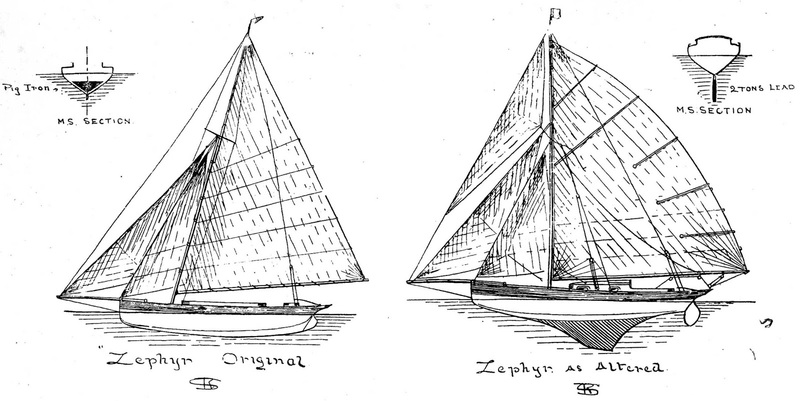 She was among the first sailing vessels designed to include an auxilliary. When launched, Wylo sat a little higher than anticipated, but internal ballast being added, she became a very stiff and successful boat which made hundreds of Cook Strait crossings and still in good service into the 1950s. If anyone knows where she is now, please let us know! Wylo prior to lauch outside Bailey's shed at Clyde Quay. 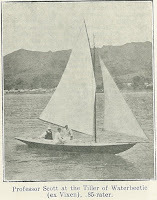 Source: NZ Yachtsman 30 November 1911. I'll write more on Robert Scott's work soon. * Many yachts have been clamed to be NZ first bermudan rigs, but Green appears to have made a habit of it in the 1870s; 40-50 years prior to all of those claims in the 1920s!